Rotary’s main objective is service – in the community, in the workplace, and around the globe. The 1.2 million Rotarians who make up more than 34,000 Rotary clubs in nearly every country in the world share a dedication to the ideal of Service Above Self. Thurs., Noon, Chattanooga, Chatt. Conv. & Trade Ctr. Thank You to Everyone That Helped Make the 2018 BSR Sunset Gala a Success... Raising Approximately $114,000! The funds from the annual gala's support a variety local and international non-profit organizations. The 2018 Gala featured former DEA special agents Javier Peña and Steve Murphy from the popular Netflix series Narcos. It was a great opportunity to hear the real story of what happened in the investigation of Pablo Escobar and the Medellin Cartel. See the Netflix trailer. The 2017 Bradley Sunrise Rotary Gala, at the Cleveland Country Club, featured 4-time Superbowl Champion and Pittsburg Steeler great, Rocky Bleire! Rocky's story is about more than just football. 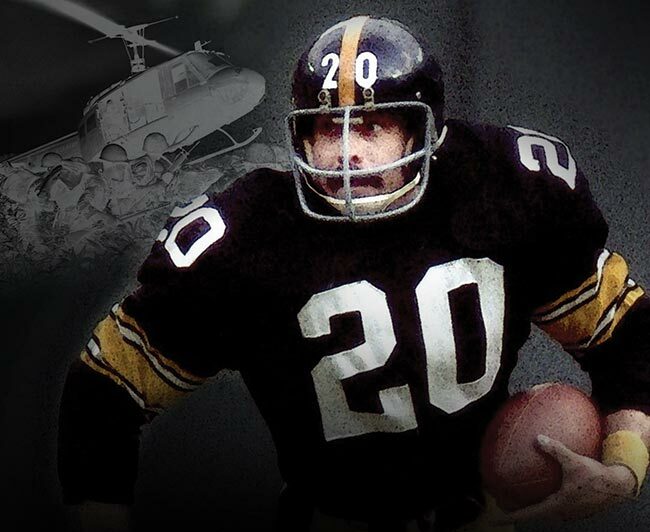 Just as his NFL carreer was getting started, he was drafted by the U.S. Army, thrust into combat and seriously wounded during the height of the Vietnam War. 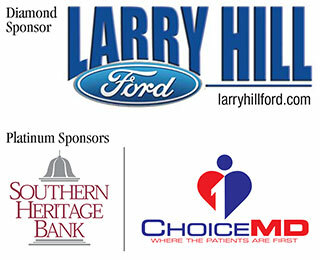 The funds from this event will go to support many worthy organizations. Thank you to everyone that helped to make this a successful event. This is a fundraising event sponsored by Bradley Sunrise Rotary in Cleveland, TN, which has supported a variety of worthy organizations, including Habitat for Humanity, American Cancer Society, BSR Angel Flight, Salvation Army and many more. The 2016 Bradley Sunrise Gala was held Saturday, August 13th. 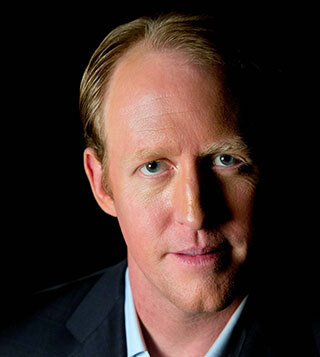 The featured speaker was former “Seal-Team-Six” member Robert O’neill. Thank you to everyone that helped to make this a successful event. The 2015 Bradley Sunrise Gala was held Saturday, June 6th, at the Cleveland Country Club. 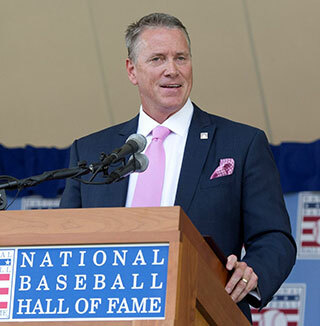 The speaker was Baseball Hall of Fame, Atlanta Braves Pitcher, Tom Glavine! ﻿﻿Oct. 2015 - Thanks to the funds raised during the 2015 Sunrise Sunset Gala, the Sunrise Foundation has gifted some $51,000 to some very deserving non-profit agencies. Listed below the amounts and to whom the funds were distributed.